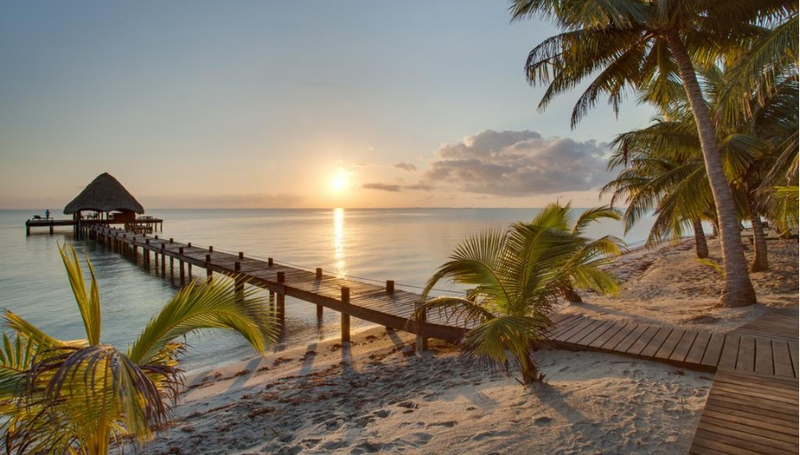 With a population of 331,000 and a main languages English & Spanish, Belize enjoys some of the most pristine beaches and tropical forests, ancient Mayan Ruins and a never ending hospitality for a vacation you will remember forever. Placencia is a beach resort community on the Caribbean coast of Belize. It’s at the southern tip of the Placencia Peninsula, known for its palm-lined beaches. Between the peninsula and the mainland, Placencia Lagoon is home to manatees and saltwater crocodiles. Offshore, there are dive sites on the coral Belize Barrier Reef. To the north, the Garífuna community of Seine Bight is a hub for traditional drumming and dance Also famous for the one of narrowest streets a mile stretch of restaurants and shops. Roberts Grove Hotel, Right on Placencia Beach, Robert’s Grove Beach Resort offers amazing views of the Caribbean Sea and Belize’s barrier reef. This resort has 72 rooms, suites and marina villas, 3 outdoor pools, Sea Spa, full service marina and PADI 5-star dive shop. Robert’s Grove Beach Resort’s brightly-decorated rooms and villas include balconies and sea views. All accommodations have cable TV, air conditioning, a mini-fridge, in-room safe and coffee maker. Suites and marina villas all have a sitting area, a large terrace and kitchens. The resort organizes activities including fishing, sailing, land and sea tours, snorkeling and diving. Sailing and kayaking are also available. The resort’s ocean front Sea Spa offers a range of treatments including wraps and massage. In a Mexican-style café, overlooking the water, the Habanero Café & Bar serves local and international cuisine. The Seaside Restaurant specializes in Caribbean dishes. Our organic dinner is served at Sweet Mama’s adjacent to our organic garden.